Genmega presents the G2500P ATM . Building on the great reputation of the 2500 series retail ATM, the G2500P model ads a Motorized Cash Presenter module. Designed for a high-performance cash dispenser to this already popular and reliable platform. The G2500P comes standard with an 8″ high-resolution wide-screen LCD. This can be upgraded to a 10.2″ touch screen. A receipt printer can also be upgraded from 2″ to a 3″ graphics-capable for custom branding or coupons. The integrated topper can also be paired with a selection of energy-efficient LED toppers. This adds visual impact and will attract customers. The G2500P with Presenter CDU can be ordered in single, dual and four cassette capacity. 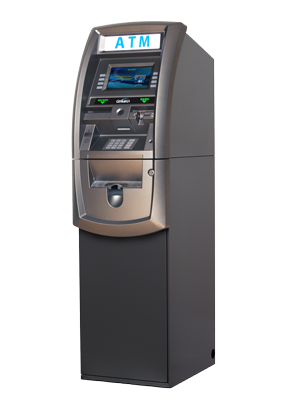 The G2500P is designed for retail and off-premise locations. The G2500P comes loaded with all the features you expect, including an EMV card reader. Genmega also provides additional hardware configuration choices allowing you to custom fit each machine to the needs of your customer or location.